Canada's Parliament on Parliament Hill in Ottawa. 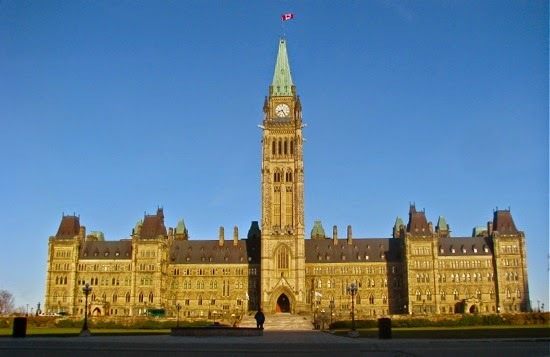 Ottawa and the country of Canada are reeling from this morning's attacks on Parliament Hill. I've had the opportunity to travel to Ottawa twice. 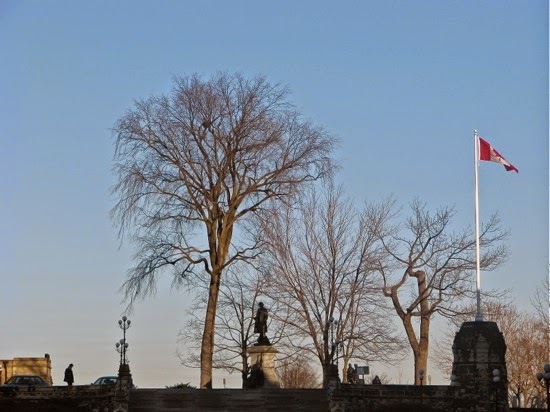 My first visit to Canada's capital city was in 2004 while on a trip in neighboring Quebec. 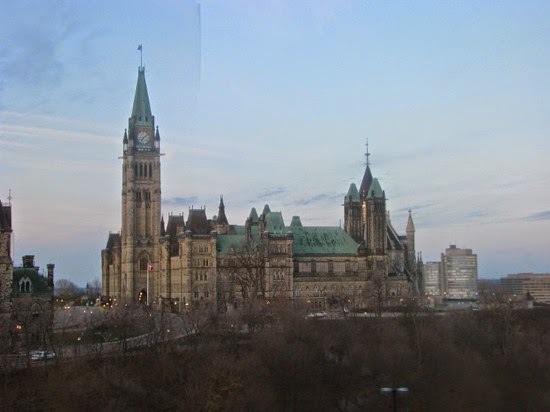 Five years later, I spent several days in Ottawa during my 10-day cross-country trip from Halifax, NS to Vancouver, BC: Closet Canuck's Great Big Canadian Train Adventure. View of Canada's Parliament from the Fairmont Chateau Laurier in Ottawa. Watching the drama unfold on CBC, Peter Mansbridge delivered the breaking news calmly, clearly and concisely -- he was obviously moved. As the veteran broadcaster signed off from his six hours of reporting duties, Mansbridge described it as "a dramatic time in our country" and "an unprecedented day in recent Canadian history." Peace to all our friends in Canada.